Nobody expects to become lost or injured when they set out on a day-hike close to the city. 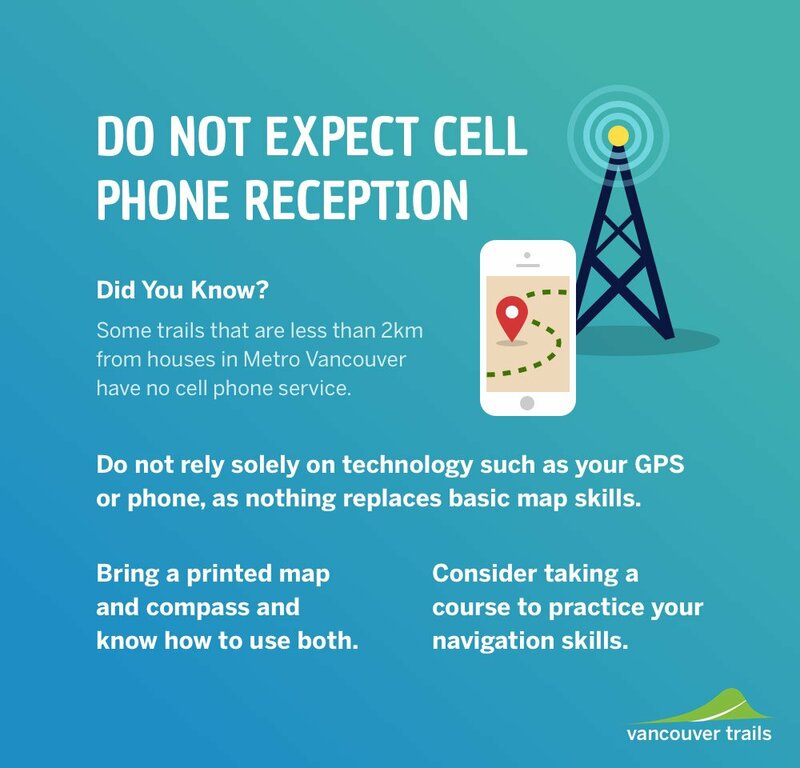 The mountainous terrain around Vancouver is often underestimated as many trails are situated in a backcountry wilderness setting just a mere few kilometres from urban areas. 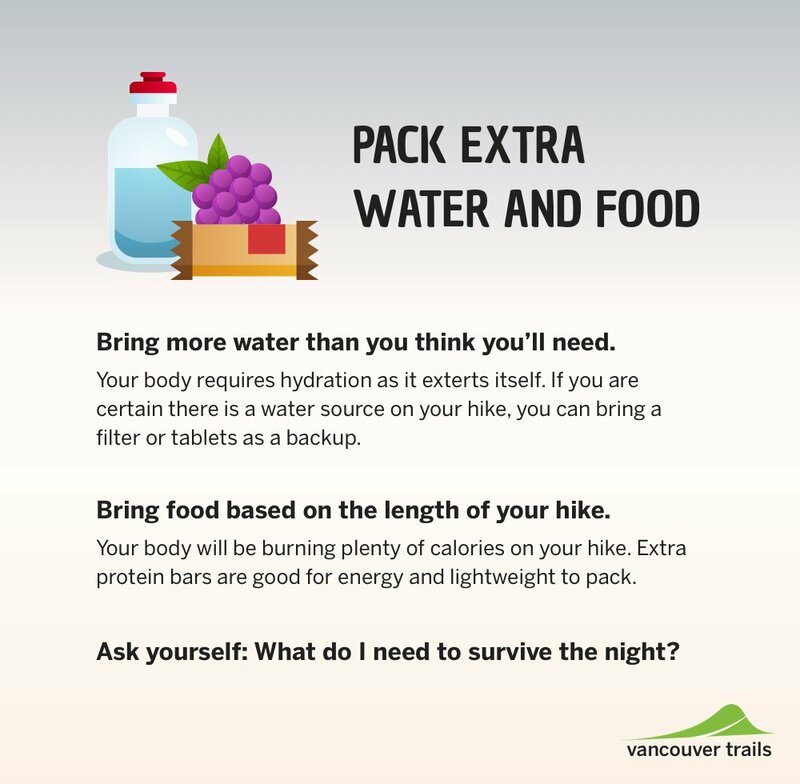 We’ve created a Hiking Safety Infographic with 5 Tips for being prepared for a day-hike near Vancouver. 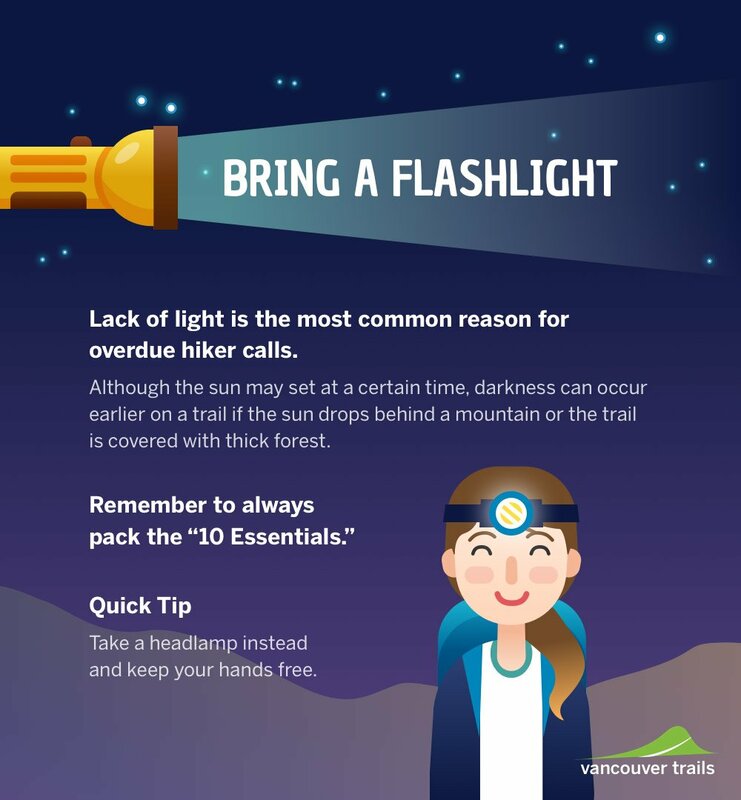 By no means does this infographic include all precautions, it is meant to provide some tips for common themes that seem to occur each year with hikers who are unprepared for their outing. 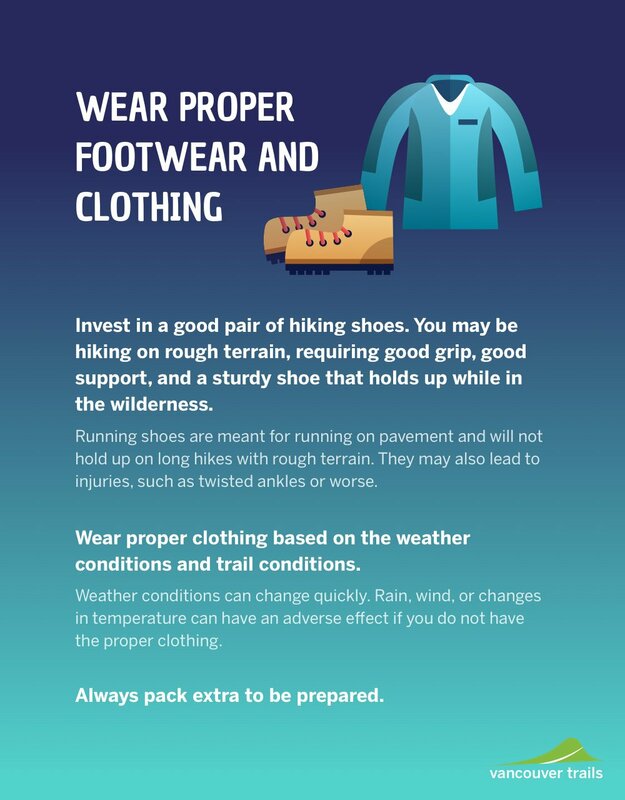 Anyone planning to go for a hike should take the 10 Essentials and refer to the AdventureSmart website for further information about outdoor safety. Being properly prepared will go a long ways in helping ensure you have a safe hike, are able to survive in case of trouble, and put less of a burden on the local Search and Rescue agencies. 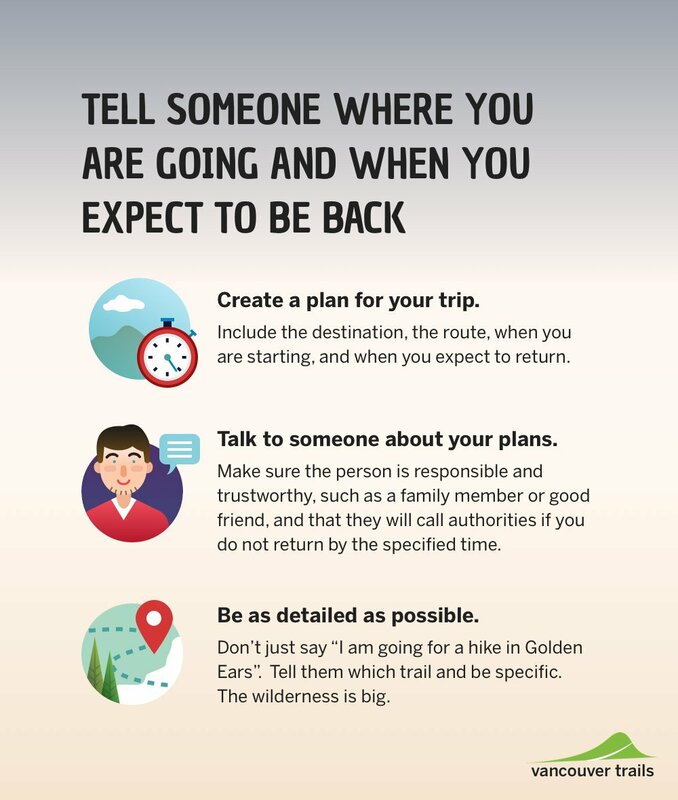 View and download the complete 5 Hiking Safety Tips Infographic.